There is a reason the Y is referred to as America's Favorite Swim Instructor. 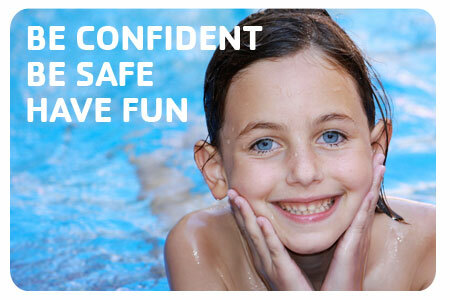 With YMCA Swim Lessons, not only are you taught how to swim, but you also learn about yourself, about safety skills, and about water activities you can enjoy for a lifetime. Instruction is caring and personalized. A variety of classes are available to meet your family's needs. Class size is determined by considering safety factors and the age of the participants, making sure that class size is optimal. The YMCA of the USA recommends that indoor pools be closed during a lightning storm. If lightning occurs in the area, the indoor or outdoor pool is cleared when either of the following occurs: (1) cloud-to-ground lightning is observed, and less than 30 seconds pass from seeing a flash and hearing thunder from that flash; (2) in-cloud lightning is occurring overhead. The pool can be considered safe to reoccupy 30 minutes after the last lightning is seen or thunder is heard. While bonding and grounding of a facility may add a level of protection, there is no way to completely reduce the risk of electrocution in an indoor pool during an electrical storm. The Four Seasons YMCA follows a policy to evacuate the pool and other wet areas when lightning is present, threatening, or when the conditions are right. The lifeguard on duty will determine when pool evacuation is needed and also when the pool area safe to return to. The practices of hyperventilation preceding underwater swimming and extended breath-holding in the water are dangerous and potentially deadly activities. These activities can put the body in a state of hypoxia—a condition in which the body is deprived of adequate oxygen supply. It is our goal to educate those that we teach about the risks of hypoxia in the water and help ensure that they do not engage in behavior that could result in loss of consciousness and death. This includes lifeguards, swim instructors and swim coaches, participants in our learn to swim programs and their parents as well as the general public who engages in aquatic activities. The result of these activities is referred to by some as “shallow water blackout.” The use of this terminology in these cases is misleading since water depth is not a factor in the body’s response to hyperventilation and extended breath-holding. Shallow water blackout is the medical condition that can result in unconsciousness in water that is typically less than 15 feet (5 meters) deep either from diving equipment failure or as a breath-hold diver returns to the surface. There are specific precautions and prevention strategies for this condition. In an effort to be more clear and accurate, the American Red Cross and YMCA of the USA (Y-USA) do not use the term shallow water blackout. In our training programs and public education, our organizations use terminology that describes the dangerous behaviors that should be prevented—voluntary hyperventilation preceding underwater swimming and extended breath-holding. For simplicity, we refer to this condition as hypoxic blackout. Lifeguards, instructors and coaches are trained to be alert and prevent swimmers attempting to hyperventilate and engage in extended breath-holding activities. Lifeguards are taught to respond quickly to any individual who is motionless in the water for any reason, including loss of consciousness. Swim instructors are also taught to limit participants to a single inhalation whenever they ask participants to hold their breath and submerge, and to set safety limits whenever setting up activities that involve underwater swimming. Being confident and comfortable underwater is an essential aquatic skill. Knowing what breath holding techniques are unsafe is important in exercising good judgment for safe skill practice and supervision of underwater aquatic activities.